UNITED NATIONS, Mar 19 (APP):Although the drive to reach gender equality has picked up speed, and diversity initiatives have been put into place in companies and organizations, a significant level of resistance and backlash remains, according to a leading UN business group. On the side-lines of the ongoing session of the Commission on the Status of Women, the UN Global Compact – the world’s largest corporate sustainability initiative – brought together business leaders from around the world to a roundtable at UN Headquarters in New York, to find ways to address the stumbling blocks to gender equality. There are many concrete examples of the private sector moving in a positive direction, with regard to gender equality, and tackling systemic sexual harassment and discrimination in the workplace. These include the promotion of women’s representation on corporate boards, a demand for greater investment in companies owned by women, and a recognition that gender equality is a critical business issue. Compact and UN Women, which cover the range of ways that business can advance gender equality in the workplace. So far, over 2,000 global business leaders have signed up, and hundreds of companies around the world are using the Principles to inform their gender equality strategies. However, resistance to gender equality initiatives has been identified as a problem that needs to be recognized and addressed. 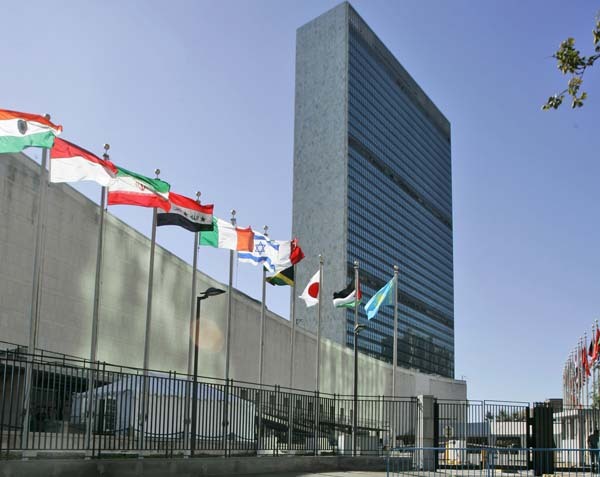 UN Global Compact has identified a number of reasons for the backlash. “We can’t afford to take two steps back for every step forward,” said Lise Kingo, CEO and Executive Director of the UN Global Compact, in a statement. “Gender equality is not only the right thing to do, but it also makes business sense. As we push for progress, there will be people who push back, shy away or fail to see the value of our action to advance equality. But we must keep moving forward.”These include a lack of understanding of the issue, which can occur when the business case for gender equality is not adequately explained; industry norms, where there is a persistent belief that some industries are better suited to either men or women; and fear of a loss of opportunities, status and position if there are gains made by women in the workplace. Alan Joyce, the Chief Executive of Australian airline, Qantas, and a participant in the roundtable, believes that, with the right commitment, companies can do a lot to bring about gender equality more quickly, and influence society in the process. Joyce said that, in an industry with strong gender stereotypes, Qantas has attempted to change perceptions, by prioritizing images of female pilots and male cabin crew, and setting an ambitious target to reach gender parity amongst the company’s new pilot intake within 10 years. The CEO Roundtable was organized by UN Global Compact and Male Champions of Change, a coalition of international business and government leaders established by Elizabeth Broderick, an independent expert on the UN Working Group on incrimination Against Women.